Effective performance management is much more than a completed review document; it’s a continuous dialogue designed to help employees succeed. PerformYard facilitates ongoing feedback to recognize achievement, document individual performance and keep track of important notes. Highlight successes and exceptional performance across the organization, recognizing those above-and-beyond efforts. Let your employees know you appreciate their work. 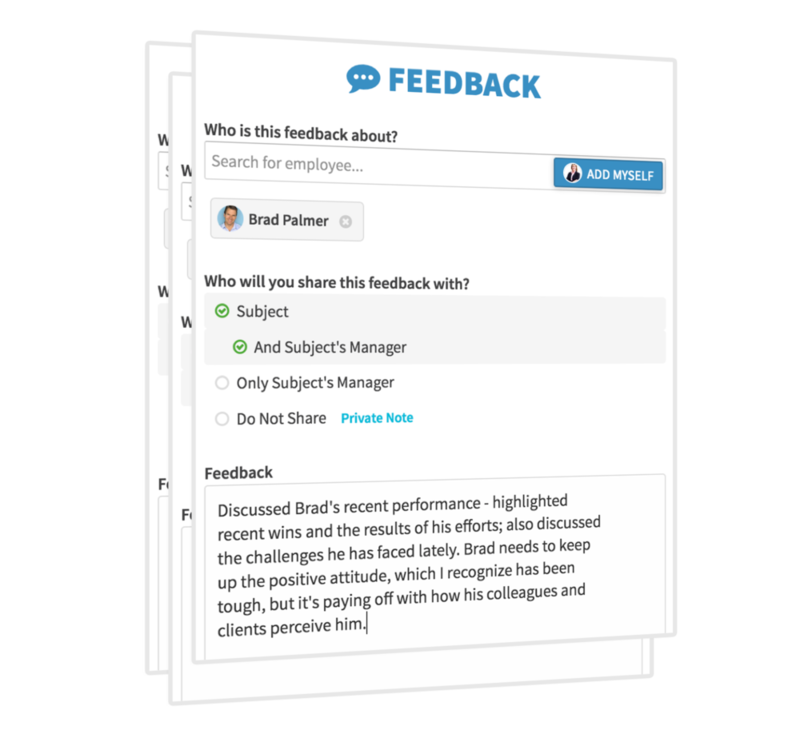 Create custom feedback 'tags' so that you can run reports and align feedback to personal development plans or corporate objectives. Document and share important feedback in the moment, rather than waiting until "review time" to discuss both positive input and constructive comments.Choose to share the input with the employee's manager, which will follow the employee as they move through the organization. Keep your managers and company leadership informed about employee performance in a documented, privacy-conscious manner. Enable managers to see a full track record of everything that's important for them to know about their staff. 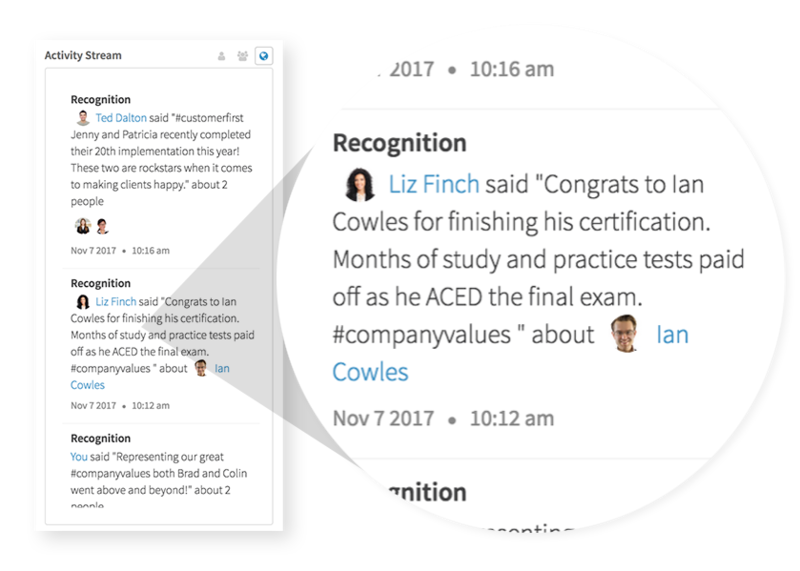 Team feedback can be filtered by contributor, date, and type so that finding the information that matters is easy. Record private notes about performance, for yourself and your team so you remember all the good things that have happened when it comes time to do reviews. Performance notes will always be at your fingertips when you need them most.